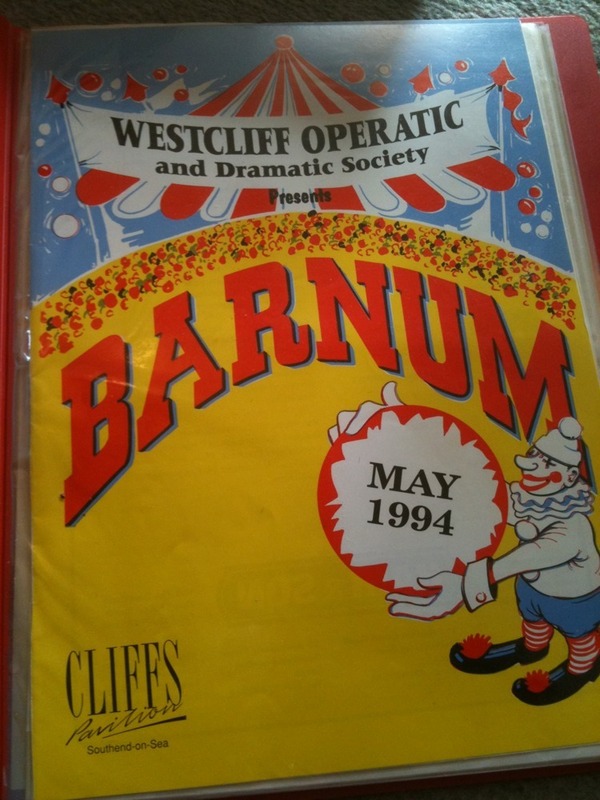 I was in this show as a juggler & was drafted in to help teach all the cast to juggle. I had a moment when I had to come on stage during a scene change & juggle my clubs. I dropped them the night my family came to see it! I remember the amateur actors were really superstitious and wouldn’t let me go home with my makeup still on as it was bad luck. 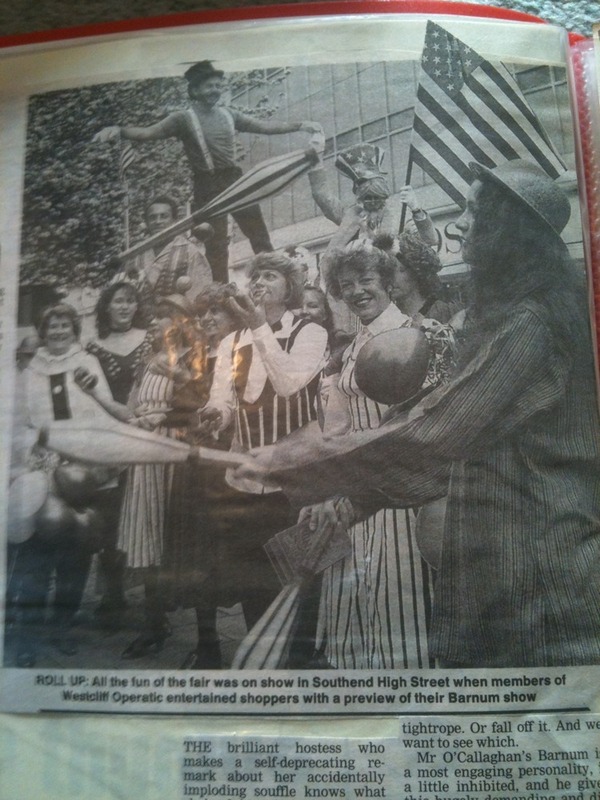 One of these pictures from the Evening Echo paper shows me on the right juggling . 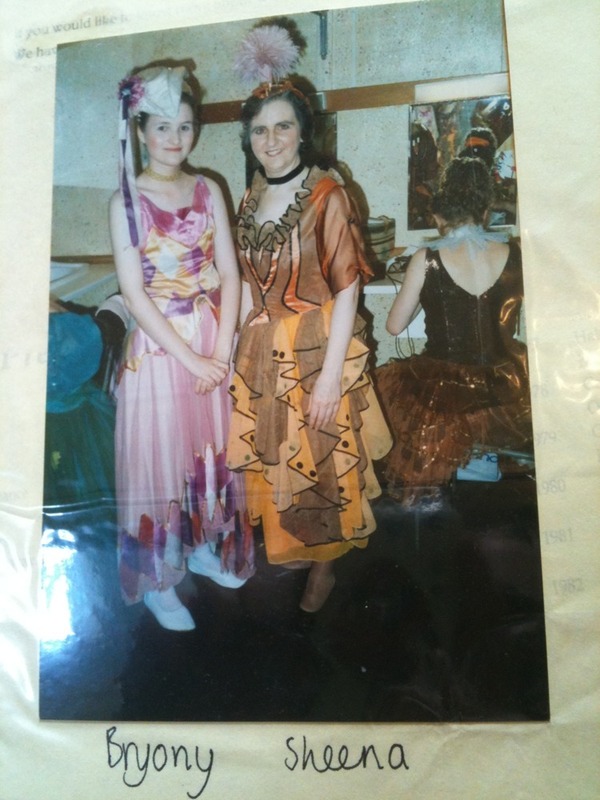 I had a pink Edwardian number for my costume. Real wave of nostalgia for me finding this, I’d forgotten I’d made a scrap book! Well that makes two of us. I was brought in as Circus Adviser for the show and in fact they look very much like my clubs that you are juggling with. Somewhat battered they are now after many years professional work but I still keep them for old times sake. You will also see me in the picture as Uncle Sam(on stilts) supporting the chap on the ‘tight rope’ Over the years I was Circus Advisor for four separate productions of Barnum. I believe I have somewhere a photograph of myself and my two sons, all three of us on stilts outside the Cliffs on First Night. 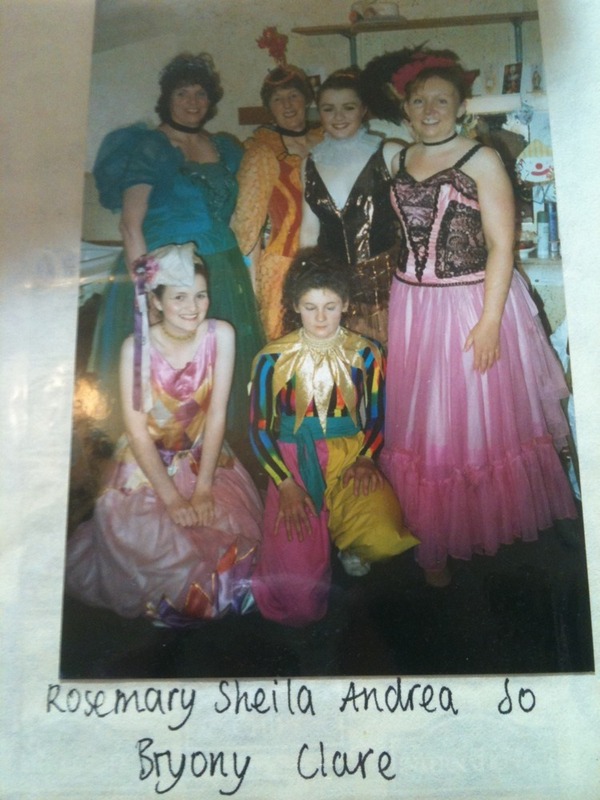 I also recall the after show party….well sort of.